We offer full-service catering and a variety of menus for any event. Our experience in the food service industry over the last 15 years has allowed us to grow and create more specialized and creative menus than ever before. Elevate your next wedding or corporate event with one of our gourmet selections, or keep the comfort food on the menu for that upcoming birthday or first-birthday luau. 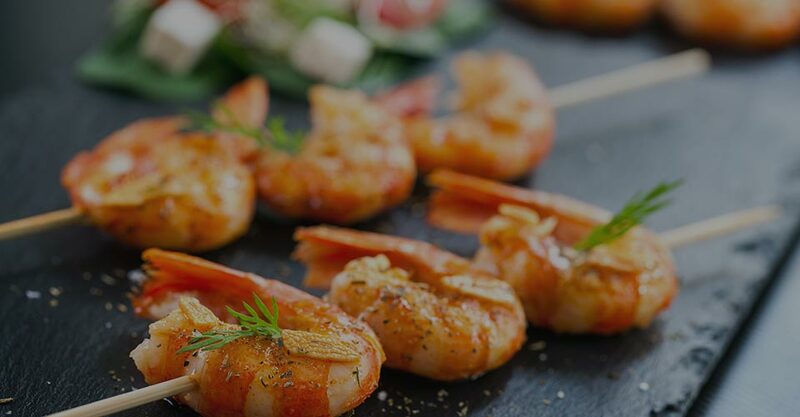 We can incorporate virtually all of our regular menu items into a catering menu, so there are countless options to create something that is exclusively yours. The below menus are designed for those special occasions when everyone gathers together: 1st Birthday parties, graduations or even corporate events. Attended service is available for $250.00. 2 hours of service includes: Buffet line setup, management & breakdown, use of chafing dishes, food displays, serving utensils, plates, utensils & take-out plates. Catering for Honolulu and all of Oahu! Delivery service is also available, please call us for a consultation. Please call for a consultation; En Fugeo Catering can offer an attended wedding service starting at $300. Includes buffet line setup, service & break down, chafing dishes, food displays, on-site preparations and cooking. Prime Rib with Au Jus & Horseradish. Because of the ingredients used and amount of prep time required, we may need advanced notice to accommodate a request for these dishes.